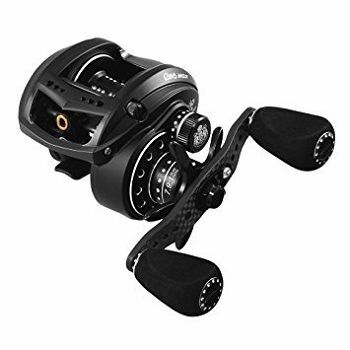 - This is a lightweight and compact reel that can pull in loads heavier than it is. - Each individual component is well-designed. - You may have to take some time to learn the cast controls. - The reel may be easier to handle for more experienced anglers. 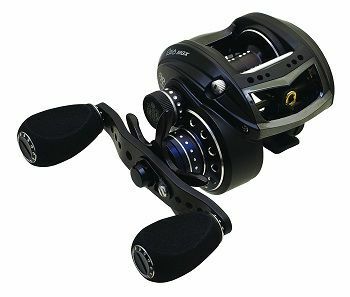 The Abu Garcia Revo MGX is a compact and lightweight baitcasting reel with an innovative and ergonomic design. Abu Garcia reels are guaranteed to work well, and the company makes sure to continuously improve designs as they are created. 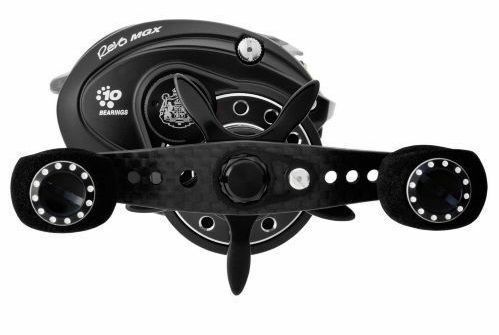 If you want a reel that's smooth, fast, and light, the Revo MGX is a great choice. In spite of its size and weight, this reel packs a punch. You can cast very light lures and expect no backlash. In terms of performance, design, components, and materials used, the Revo MGX is a sure winner. It's a reliable reel that you won't be able to live without. Avid anglers with a lot of experience are typically more able to wield a baitcasting ﻿﻿reel better. Baitcasting reels are used when you're looking for large saltwater game in the open sea. Because your prey is large and powerful, then your reel has to be as large and powerful as well, correct? Not necessarily. All your reel has to do is be designed well enough to handle big saltwater game without having to be unwieldy. Wrestling saltwater game is challenging enough; you don't want to have to wrestle with your reel as well. Baitcasters are usually strong, durable, and accurate. These are qualities you'll need in a reel you can rely on out in the ocean. Professional anglers who usually fish for bass prefer baitcasting reels, and you can trust the pros to make the right decisions. The Revo MGX can meet these qualities, and more. As mentioned above, a good baitcaster is lightweight yet durable. To help anglers strike a good reel weight balance, Abu Garcia constructed the Revo MGX's frame using their trademarked X Mag alloy. This magnesium alloy is lighter than aluminum, which is what many other reels' frames are made of. Though lightweight, X Mag is durable and hard enough to keep all the parts an mechanism of the reel intact and in place. The frame is also all one piece, which lessens the chances that water will seep in and damage the internal components. The components are thus safe from corrosion. Abu Garcia's very own carbon matrix drag system is waterproof and guarantees a smooth drag. It's an improved and more efficient drag system that allows you to adjust the drag setting according to your preferences and what the situation calls for. A drag system works as a brake on your line and spool. It's what keeps your line intact and guides the spool into stopping. Smooth drag systems make for a better fishing experience because you won't have to worry about your line snapping or breaking. This is especially important in situations wherein you're dealing with a big, heavy, and powerful fish. Abu Garcia also formulated the HPCR ball bearing system. HPCR stands for “High Performance Corrosion Resistant). From this name alone, you can probably guess what this ball bearing has to offer. You won't have to worry about corrosion, which is a problem that bearings systems often must contend with.. The Revo MGX's ball bearing system contains nine balls. The usual rule of thumb when it comes to ball bearing systems is that the more balls there are, the smoother the system runs. With nine balls in the system, you can be sure that the Revo MGX's bearings system works smoothly as you can expect. ​When you combine the Revo MGX's carbon matrix drag system with its Infini II™ spool design, you'll get the smoothest fishing experience you've ever had out on the open water. The Infini II design makes the reel perform better at casting, and the drag system ensures consistent pressure on the spool. With these two working in conjunction, wrestling a powerful fish out of the water will be as easy as it can be. Inifini II is made for hauling in big fish out of the open sea. It allows it to make a wide cast and can handle heavier loads. 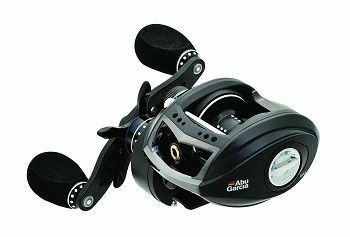 Abu Garcia's Revo MGX is a great tool to have for catching big saltwater game. It is made of topnotch materials and a lot of thought and planning went into its design. Many anglers prefer this reel over other similar reels, and for good reason at that.